E-cigarettes are fast becoming a popular option for those looking to smoke something healthier. However, there are a number of bans on them. 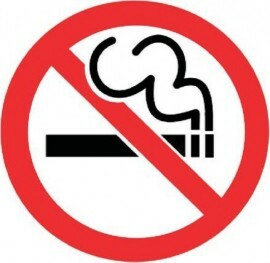 Many people question whether there is a ban on smoking them in public places. The question people have is when and where are you allowed to smoke e-cigs in public? At the moment, there is no ban on people smoking e-cigs in some public places. The problem is no medical research shows that they are safer than the traditional and conventional cigarettes. While they do not contain all the same toxins, there are fears that they still contain one. The Australian government is looking into the possibility of e-cigs being healthier than traditional cigarettes. If this is the case, a complete smoking ban could be put in place to protect the health of the country. The electronic devices will be used as an alternative for those who want to smoke. It is possible to use the e cigarettes in public places. However, there are restrictions. It is illegal for anybody to sell a device that looks like a cigarette with nicotine, even if it does not contain any tobacco. This is the case with many electronic cigarette devices. It is important to think about smoking electronic cigarettes when travelling. While Australia doesn’t have a ban, other countries do. For example Singapore and Brazil have complete bans on the devices. France is considering a ban on smoking the devices in public places, while other European countries are looking into it. Before you travel anywhere, it is best to check with the country laws to make sure you do not make a mistake out of ignorance. It is amazing to me that something that seems so simple, like making e-cigs legal in public areas, is made into a complete mess by the government. How many studies do you need to run to see the benefits? Why shouldn't a person be able to ingest anything they like into their own body if it is not harming others? You still can't smoke inside a lot of places though, But it's way better on the planet.